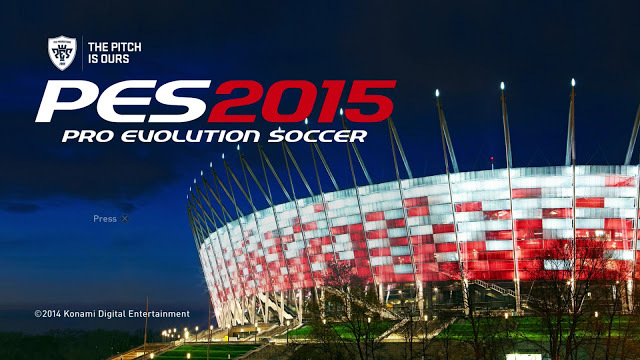 PES 2015 Demo has been released on Playstation and Xbox. I had the chance to download it and play a few games. Other than the usual changes to graphics, menu and interfaces, there are some slight changes to game plan options and the way you can set up your team. 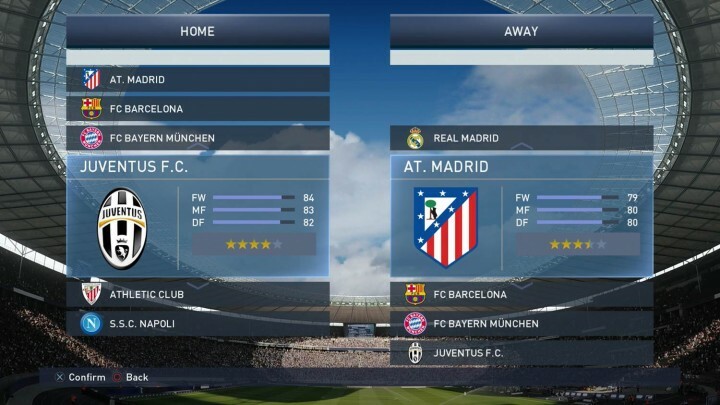 Gameplay feels rather similar to the current version, which means that majority of the tricks and techniques that you have learnt this year should still be applicable in PES 2015. That said, this is just the demo version, so let’s see what happens when the game is released in November. While we wait for the day to arrive, let’s take a look at the demo. When you enter the game plan, you can choose to activate ‘Simple Settings’. This helps you to quickly set a formation and get into the match – Ideal for new players, but not so for seasoned players who like to manually tweak their formations. Choose from the familiar Long Ball, Quick Counter, Possession Game, All Out Defence, All Out Attack. There are also new formations like Out Wide (offensive), Out Wide (defensive), Down Middle (offensive), Down Middle (defensive). Choose to manually adjust your tactics, and you will be presented with more options. I will like to focus on ‘Preset Tactics’ first, as this is where the new features are in. Under ‘Preset Tactics’ -> ‘ Team Instructions’, you can fully customize how your team will play in the match. The first option is Attacking Styles. Choose between Possession Game or Counter Attack. Next, decide how your team will build up attacks. Choose from Long Pass or Short Pass. Next is your attacking area. Choose to attack from Wide, or attack down the Center. Once this is done, you can choose to adopt a Flexible position, or request for your team to Maintain Formation. Next up, decide on your support range, which is the distance your teammates will position themselves from the ball carrier. Adjust the slider to set your preferred distance. Lastly, choose the number of players to join in attack. Choose between Few, Medium or Many. These options present you with an unlimited combination of attacking styles, which you can tweak to suit your preferred style of play, and the players you have. For example, if you wish to play like Spain/Barcelona, a possible game plan will be Possession Game, Short Pass, Center, Flexible Position, Short Support Range, Many. To play a counter attacking game via the flanks, try Counter Attack, Long Pass, Wide, Flexible, Medium Support Range, Medium. To play a cautious defensive game and play long balls to your forward, a good game plan will be Counter Attack, Long Pass, Center, Maintain Formation, Long Support Range, Few. After determining your attacking style, press L1/LB to switch to defensive settings. A variety of options are available for you to tweak to your preference. Some combination of settings might work your players too hard and cause fatigue to set in faster. For example, aggressive pressuring will tire your team faster. Choosing to have Many players both in attack and defence will also lead to your players running up and down the pitch, and cause them to get tired. I have also noticed that around the 70th minute, most players’ stamina bar will reach a low red level. This means that stamina depletes real fast (unlike past versions), and fatigue management is key in PES 2015. Another Game Plan option I will like to point out is ‘Tactical Option’. Here, you can set an additional 2 formations – 1 defensive formation, 1 custom formation. This works like the 3 pre-set tactics in previous version, just with a different name now. With 3 different formations set up, you can easily switch between them by pressing Up/Down on the directional pad, depending on the game’s situation. You can choose to enable ‘Fluid Formation’, which automatically switches formation for you depending on whether you have possession of the ball in the game. If you prefer to have full control of your team, choose to leave it turned off. Other usual options are present, such as Line Up (choose starting 11 and captain), Set Piece Settings (choose set piece takers, and players to join in attack), One-Touch Settings (enable simple settings), Auto Trigger Settings (have the AI adjust offside trap, preset tactics, and substitutions for you), Data Management (save and load tactics). I have played a few games, and the game play feels similar to the current version. Controls are relatively unchanged, the set piece dotted line is still present. What I find slightly different is that your attackers now tend to make automatic forward runs more often. When my midfielders have the ball, my strikers will do his best to move away from his marker, find space, stay in line with the last men, and wait for me to make a through pass for him to chase. I find that this is a good improvement, just that I am not sure if this only applies to good teams and good strikers, or will it be the case for most teams. Oh, and combination play has been removed. Guess it is not a popular feature for majority of PES players. And that’s what I feel about PES 2015 so far. These features may not be finalized though, as Konami may still make adjustments in the next 2 months. If you have downloaded the demo and played a few games, feel free to share with me/other readers what you think of the game too.